Slide show assignment – UPDATE! Kloe, Lucy and I have changed our plans on our final assignment. Our original idea was a look at green energy in the ACT, it had potential of being an interesting topic. While we found some good information we decided we could come up with something more visually exciting, which is important if you want to keep someone’s attention for almost five minutes. 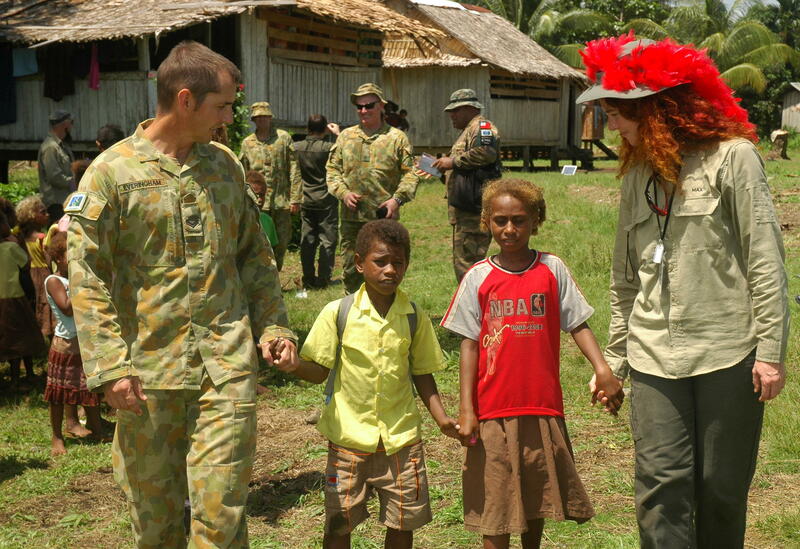 Kloe works for Defence and has been to the Solomon Islands with a Forces Entertainment tour. She knows a lot about the topic, has some good contacts and has a stack of great photos from her trip. The aim of the slide show is to give people a bit of background on Forces Entertainment. We’re focusing on the human aspect on the story. Why do entertainers volunteer their time to go on these tours? What do they get out of it? And what does it mean for the troops? Kloe and I have already spoken to Mark Langley, the organiser of Forces Entertainment. He told us that all the entertainers who participate want to do it again. We’ll soon find out why, we have a few entertainers lined up for interviews over the next couple of days. Little Pattie, who has been with Forces Entertainment since the Vietnam War. Mark Wilkinson, a singer/songwriter who Kloe met on her Solomon Islands trip. Mark has kindly given us permission to use the following song in our slide show. And Dave Jory, a comedian who has been on a couple of Forces Entertainment tours. As well as Kloe’s photos from the Solomon Islands (and she’s got some beautiful ones), Mark Langley was kind enough to provide us with some images from other tours. I’m looking forward to seeing the finished product, I think it will turn out really well.